This War of Mine: The Little Ones is a third person survival strategy game inspired by the Bosnian War. Unlike other war related games, you play as a group of civilians in a makeshift shelter in the fictional city of Pogoren, Graznavia. You will need to scavenge resources to build and craft weapons, food, water and medical supplies. The main goal is to survive until the end of the war and the ceasefire. However, until that time comes you will need to care for your characters by overcoming raiding parties and the physical and mental hurdles associated with war. The game offers a very unique experience, and portrays a side of war that is often overlooked, especially in video games. For this first step you will learn the basics of the game and get used to the mechanics and structure of the day/ night cycle. You won’t be able to customize the settings/ parameters of this first game as custom games are not yet available at this point. For example, you will start with random characters and within a random season. There is also a high chance you won’t have a child in this game, which will restrict you from what trophies you can earn. As such, it’s best just to play up until the custom game option becomes available, which can be between 1 and 7 days. The only way to know if it is available is to quit to the main menu. You are free to do as you please during this short playthrough. However, I suggest you do the following to help get a few of the trophies out of the way. Build a metal workstation and start saving resources for a shovel and a crowbar. This will allow you to access and search the entire safe house for the Diary: Finished ransacking trophy. Kill people when scavenging at night. This will result in your main character developing a ‘broken’ mental state, where you can then unlock the Diary: First blood trophy. Try and visit all scavenging locations for the Diary: We’ve been everywhere trophy. This can be more troublesome in your second playthrough if you need to visit ‘Danger’ areas. This will be your main playthrough in which you will unlock the majority of the trophies. After Step 1 you should have a good idea of how the game works and how to get yourself set up within the first few days. I highly suggest you refer to my ‘Walkthrough and General Tips’ post at the end of the guide for helpful information. During this playthrough you will want to focus on keeping everyone alive for the entire game. This will enable you to unlock the Epilogue: War is over, Epilogue: We made it! and Diary: Our future. It is also advised that you let the child get to a ‘Broken’ mental state for the No more tears trophy. As this will be your longest playthrough, I also suggest you build everything that is available, and upgrade each workstation as this will allow you to teach the child everything they can learn for the Note: The school of life, as well as the Diary: Our own playground. Depending on how successful your playthrough was in Step 2, you may still have a number of trophies remaining. These will likely be related to recovering a character’s mental or physical state to a satisfactory level following an injury or traumatic event, as well as accepting a new member into your safe house and having them befriend your child character for the Diary: Bond for life. This step will likely involve multiple short playthroughs of around 10-15 days as you focus on specific trophies. I suggest focusing on one at a time, as there is a certain degree of luck involved in some aspects, and trying to do too many things at once can be overwhelming and difficult. You can get through the days and night quite quickly by skipping with . Congratulations you have survived until the end of the War and ceasefire. This trophy will unlock once you reach the ceasefire and complete the game. You only need to have one character reach this point. If playing a non-custom game then the number of days the game will last for is random. It may be as little as 20 days but can extend up to 80 days. If playing a custom game, as specified in Step 2 of the walkthrough, you will unlock this trophy at the end of Day 40. The guide is full of useful tips and walkthroughs on how to play the game and reach the end of the game. I also suggest referring to my ‘Walkthrough and General Tips’ post found at the end of the guide. In order to unlock this trophy, you must reach Day 7 with all starting characters still alive. The first seven days of the game are quite easy, especially when playing on the custom settings outlined in the walkthrough. On these settings you won’t need to contend with winter or significant raids during the first seven days. It’s still important to always have at least one person on guard duty at night time, and arm them with whatever weapon you may have, e.g. a knife. You won’t have to worry too much about sickness or injury as these usually appear at a later date. Just avoid areas marked as ‘Danger’ and ‘Caution advised’ whilst scavenging. You will unlock this trophy once you have reached winter. Unless playing in a custom game, the timing of winter is completely random. You you will know it is coming when the temperature in the top left of the screen starts to drop to around 10 degrees Celsius. If you are playing a custom game and have set the winter to ‘late’ and are playing a 40 day game, then expect it to arrive after Day 30. As long as one person is alive, you will unlock the trophy once winter arrives. When you start a new game, you will be placed within one of two different safehouses. This safehouse will be your base for the entire playthrough of the game. At the beginning of the game, you will not have access to every area of the safehouse. In order to gain access you will need to remove piles of debris either with your hands or with a shovel. There will also be a number of locked cabinets which can only be opened with a lockpick or a crowbar. In order to unlock this trophy you will need to open and search every cupboard and cabinet in your safehouse, as well as remove all piles of debris. In order to craft a shovel and a crowbar, you will first need to build the metal workshop. You should be able to find enough resources in your safehouse at the very very beginning of the game, without having to remove any debris. Once you have enough resources, craft the below listed items, and then proceed to access and search every area of your safehouse. Metal Workshop: 10 x Components, 5 x Wood. The radio is an item that can be crafted from the workshop, and allows you to listen to a number of broadcasts. These broadcasts provide you with information relation to the outbreak of violence, which scavenging areas might not be accessible, and when the arrival of winter is close. In total there are five different messages that the radio plays, and you will need to listen to all of them in order to unlock the trophy. The first thing you need to do is build the radio. Once built, you can listen to it and tune it to different stations. The messages in which you have heard will appear on the piece of paper when interacting with the radio. You can tune the radio with the , and when the small light above the dial starts to flash you are close to reaching a station. Once you are tuned to a station, a new message will appear on the piece of paper on the left hand side of the screen. Below is a list of the stations and messages in which you will need to tune to in order to access all five messages and unlock the trophy. Not all stations/messages are available straight away; you may need to access the radio multiple times over different days in order to find all messages. Weather FM – A note on what the weather conditions will be like for the next few days. Radio One – A note about some areas of the city being cut off due to rebel fighting. City Today – A note about a warning from the Rebel leader not to cross the front line. Radio One – A note about a shortage of supplies in the city of Pogoren. City Today – A note about animals having disappeared from the streets of Pogoren. In order to unlock this trophy you will need to craft moonshine. Moonshine can only be crafted from the Moonshine Still which can be built from the first level Workstation in the game. You will unlikely be able to craft it straight away as you will need to scavenge from enough resources. Once you have built the Moonshine Still, you will then need to craft some moonshine. Crafting moonshine takes 4 in-game hours to create. You will need both sugar and water, both of which are common items when scavenging. Locations that state they contain food items will have both of these resources. Once you have crafted your first batch of moonshine, the hour glass icon will be replaced by a moonshine bottle. Pick up the bottle of moonshine and the trophy will unlock. Below are the two crafting recipes required for this trophy. Once the night time cycle starts each day at 08:00pm you will be able to assign each person to different duties. These include Scavenging, Sleeping and Guarding. In order to unlock this trophy you need to assign any two people to guard duty on the same night. This trophy can be troublesome to obtain. You need to first get one of your characters to sickness state of ‘Terminally Sick’ and then recover them to a state of ‘Slightly sick’ or better. Each character’s sickness status will be displayed in the bottom right hand corner of the screen when that player is currently being controlled. If nothing is displayed then the character is in overall good mental and physical condition. When you are going to try and obtain this trophy you will want to ensure that you are stockpiling Meds and Herbal Meds which can be found at a number of scavenging locations. These items can also be traded for with Franko the trader when he stops by your house. The hard part is getting someone sick to begin with. There are a number of things which can make someone sick, including not having adequate heating during winter, or limiting the amount of sleep and food that they eat. However, it appears that how and when characters get sick is slightly random. Once your character becomes either Sick or Slightly Sick, it is very important to not let them sleep or take medicine. To do this, keep them on guard duty at night time and during the day make them complete tasks. Over the course of a few days without sleep or medication, their status should diminish to Severely Sick and then to Terminally Sick. First, give him a dose of Meds with another player. Secondly, give him a cooked meal and ensure he is no longer hungry. And thirdly, put him in bed to sleep and don’t assign him to do anything else. If it is winter, ensure that the temperature does not drop below 20 degrees Celsius. After you give the character Meds and send them to bed, next to the ‘Terminally Sick’ status should be (Recovering) and (Meds). Now all you have to do is wait. You will need to replenish his Meds on a daily basis and make sure that he doesn’t reach a hunger status of ‘Very Hungry’. If all things go to plan, he should recover to a status of Slightly Sick within four to five days. At this point the trophy will unlock. For this trophy you will need to recover a character from ‘Lethally Wounded’ to ‘Slightly Wounded’. Each character’s wounded status will be displayed in the bottom right hand corner of the screen. If the character isn’t wounded then nothing will be displayed. When you are going to try and obtain this trophy you will want to ensure that you are stockpiling Bandages which can be found at a number of scavenging locations. These can also be traded for with Franko the trader when he stops by your house. Unlike sickness, getting wounded is a lot easier. A character will become wounded by either fighting whilst out scavenging or by being injured whilst defending the safehouse during a raid. You can easily get someone wounded by sending a character to a scavenging location marked as ‘Danger’. These locations will contain armed soldiers or rebels. If they catch you stealing and you engage them in combat they will fight you. During combat your health will be displayed via a bar above your head. Simply get attacked until your health is low and then flee back to your safehouse. Once your character becomes wounded you will need to wait until they reach the ‘Terminally Wounded’ status. To do this, don’t let them rest in bed, and don’t give them any bandages. Once they have reached this status you will want to give them a Bandage and make them go to bed and rest. You may need to control another player in order to give the Bandage to the wounded character. You will also need to make sure they are not hungry, as this will help with their recovery. Applying a new Bandage each day will further assist in the recovery process. It will likely take 3-4 days for your character to recover from ‘Lethally Wounded’ to ‘Slightly Wounded’. If you run out of Bandages you can send the wounded character to the Hospital and speak to a Doctor who will give you a free Bandage. Once your character recovers to Slightly Wounded the trophy will unlock. Note: This trophy can only be unlocked with an adult. You will need to do the same with a child for the No more tears trophy. For this trophy you will need to recover a character from a ‘Broken’ mental state a to ‘Sad’ state. Each character’s mental state is displayed in the bottom right corner of the screen. If the character has a good morale then no mental state will be displayed. Compared to Sickness and being Wounded, the mental state of a character is far easier to reduce. Almost all your activities can impact your character’s morale, either positively or negatively. You will likely get multiple characters to a Broken state throughout each playthrough of the game. You can reduce your character’s mental state quickly by sending them to scavenge and stealing items from locations in which the occupants are still alive. Killing characters will also drastically reduce the mental state of both the killer and all other characters at your safehouse. When characters are sick or wounded, this may also result in other characters become depressed or broken. Once your character has reached a Broken state you won’t be able to control them, and they will simply sit on the ground and cry. The only way to increase their mental state is to get other characters to talk to them. The option to do this is represented by the speech bubble icon when standing near the Broken character. Just be sure to speak to them as often as you can, as well as giving them lots of food to eat, even if they aren’t hungry as this gives your morale a good boost. Also, avoid drinking moonshine with characters that are depressed or broken as this will hinder their recovery. Once you recover to a mental state of ‘Sad’ or better the trophy will unlock. In order to unlock this trophy you will need to build enough beds within the safe house for everyone to sleep in at night. This does not include the person who goes out scavenging. As such, if you have three members in your safehouse, you will only need to build two beds to unlock the trophy. Beds can be built from your main Workstation and are available from the very beginning of the game. These are essential items, as they allow your characters to sleep and not get exhausted. Once you have built two beds the trophy will unlock. The recipe for crafting a single bed is outlined below. For this trophy you will need to cook a ‘Cooked Food’ item for all people in the house. In order to do this you must first build the ‘Crude Stove’ (10 x components and 5 x wood). Once this has been built, use any one of your characters to cook food. With the basic stove you have two options of food items (see below). Once you have cooked three food items get each character to eat one of them by interacting with the stove by pressing . This trophy will unlock once you have killed your first person. You can only kill someone when you are out scavenging. In order to engage someone in combat you will need to switch from scavenging mode to combat mode. To do this you will need to press whilst scavenging. Once you are in combat mode you need to press to attack. You can craft weapons at the Metal Station, such as a Knife, and you can also use Tool such as a Crowbar or a Shovel as a weapon as well. If you want to unlock this trophy early in the game, travel to the Quiet House scavenging location. There is an elderly couple that lives there that will not attack you if you attack them. You won’t even need a weapon, and you can use your fists. Once you kill your first person in the game, the trophy will unlock. Note: The trophy may also unlock after the first time you engage in combat. You may not necessarily have to kill someone for the trophy. In order to unlock this trophy you will need to construct an Armchair from the Improved Workstation. This item is then listed under the ‘Household Items’ list. The recipes for both the Improved Workstation and the Armchair are listed below. Once you have constructed the Armchair the trophy will unlock. Note: If the trophy does not unlock after constructing the Armchair, then you may need to also construct the Radio or the Guitar. As you scavenge different locations during the game, you will come across items items marked with a magnifying glass. These are mementos left behind from before the war, and include things such as photographs, letters, propaganda pamphlets, and confessions from various civilians and rebels. In order to unlock this trophy you need to interact with approximately 10 of these locations. There is no way to keep track of these, so just keep traveling to different scavenging locations at night time and explore every room/area. Whenever you see a magnifying glass, interact with it by pressing . In order to unlock this trophy you must reach and survive the winter without any of your characters dying. I highly suggest attempting this trophy on your custom playthrough as you will have plenty of time to prepare yourself for the colder days. If playing a 40 day custom game with winter set to late, it will occur around the day 33 mark. You will know winter is close to arriving as the temperature will drop to around 10 degrees Celsius. The most important thing to surviving winter is keeping warm. You will need at least two Improved Heaters in order to keep your safehouse warm. Each heater will require consumables to keep burning and to maintain the temperature at a comfortable 20 degrees Celsius or above. You don’t need to build these at the start of the game as they are useless outside of Winter and those resources are best used to build other items. As long as you build them before Winter arrives you will be fine. It’s also worth having plenty of Meds as the cold weather may make some characters Sick. Each night during Winter you will want to place at least 3 consumable items in each heater. This will keep the temperature at a comfortable level and ensure it doesn’t drop too low. With Winter set to a short duration in the custom settings, it should last around 4-5 days. Some people have reported the trophy not unlocking if they send one of their characters to help a neighbour that knocks on the door asking for help. As such, decline these offers during Winter. Once Winter passes and the weather begins to warm, and as long as no one has died, the trophy will unlock. For more information on how Winter works, as well as tips on how to easily prepare yourself and survive, please refer to my ‘Walkthrough and General Tips’ guide at the end of the guide. For this trophy you must reach the ceasefire, i.e. the end of the game, with all starting characters still alive. This is a lot easier than you might think, especially when playing in a custom game as you can set at what day the game will end. Furthermore, setting the Winter to late, short and mild (as specified in the walkthrough) will further limit the difficulty of the game. I suggest going for this trophy on a separate playthrough to that of the trophies relating to recovering characters from a critical/ terminal health state as you run the risk of things going wrong and them dying which will them lock you out of this trophy. Below is a list of tips which will help you make it towards the end of the game without anyone dying. I also suggest you refer to my ‘Walkthrough and General Tips’ guide at the end of the guide for a comprehensive description of the game, and an array of useful tips and strategies. Always have enough cooked food for people and don’t let them stay ‘Very Hungry’ for more than one day. Always have enough Meds and Bandages for sickness and illness. Protect your safehouse by upgrading your defenses and always have people armed with weapons if they are on guard duty. If you fail to get this trophy during your main playthrough of them game then you can start a new custom game set to 20 days with Winter turned off and the intensity of fighting set to low. You can skip through the days by pressing and only scavenge if you really need to. It shouldn’t take more than a couple of hours to finish this speed run playthrough. In order to unlock this trophy you will need to visit all scavenging locations within a single game. There are a maximum of 21 locations that can be visited. If playing a random game, this number will be random. However, if playing a custom game you can set the number of scavenging locations to between 8 and 21. Each night you can choose someone to go scavenging for resources. The number of locations will vary throughout the game. During periods of conflict some locations may be blocked off, and the same applies during Winter. As such, it’s best to focus on this trophy early in the game so you do not run out of opportunities later in the game when Winter hits. When choosing what location to visit, you will know if you have already visited the location as the word ‘Visited’ will appear below the location’s name. This trophy can be troublesome to unlock as it require an element of luck. At some point during the game, the city will experience an outbreak of violence. This is a random event that corresponds to the increase in the number of raids and attacks to your safehouse. It should occur late in the game during your custom playthrough. However, it may not occur at all. You will know when it does occur as the new day loading screen will change from the usual picture of the city to a gun (see below screenshot). In order to unlock this trophy you must survive the entire outbreak of violence without losing any resources during night time raids. The period of violence will last approximately 5 or so days. In order to survive without losing any resources you will need to have at least two people on guard every night during this period that are armed with guns and knives, and have plenty of ammunition. It’s also essential to upgrade the defenses of your safehouse by repairing the patches on the wall which can be done from the Improved Workstation. You should also build the Reinforced Door from the Advanced Workstation. The easiest way to get a gun is to steal one from a bandit at a ‘Danger’ scavenging location. You can also craft one from the Improved Metal Workstation if you have the correct components. Ammunition should be easy enough to come across, but you can also craft some from the Advanced Metal Workstation. Franko the trader often has ammunition to trade, and it isn’t worth much so you should be able to trade a few bottles of moonshine for everything he has. I found that I had to set the fighting intensity to at least Mild for the outbreak of violence to occur. However, it may still occur on Low fighting intensity, but it may not be as common. If at any point you do lose resources upon starting a new day, then immediately quit the game and load it back up. 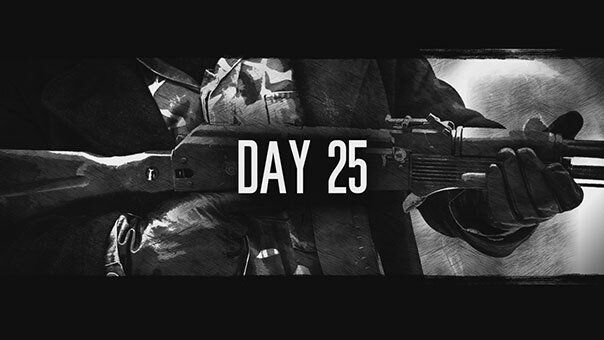 You will know if the outbreak of violence has finished as the loading screen for each new day will change back to the ruined city and the text ‘Curb on Crime’ will appear below the day number. At this point the trophy will unlock. In order to unlock this trophy you need to have all characters, besides children, indulge in a pre-war luxury. This including smoking a cigarette, drinking coffee or drinking moonshine. Different characters like to indulge in different things, and will often complain about not having had a cigarette or a drink in quite some time. Characters who like to indulge in either coffee or cigarette will do so automatically if you have those resources in stock. Characters who do not want to indulge in either coffee or smoking will need to drink some moonshine. The easiest way to unlock this trophy is to make sure you have cigarettes and coffee in stock. These are fairly common items found whilst scavenging. This will ensure that the characters who want these items will automatically use them. You should also have each character drink a bottle of moonshine. Moonshine can be crafted from the Moonshine Still. For more information crafting moonshine please refer to the Distilled Gold trophy. Once all characters have indulged in their preferred resource, the trophy will unlock. For this trophy you will need to teach a child everything that they are able to learn within a single playthrough. In order to do this you will firstly need to make sure you have a child in your game. If you are following the walkthrough, then you would have set up your custom game with a child. You can teach children to craft different items from the various Workstations that can be made in the game. Some workstations will need to be upgraded to access different items. In addition to this, children cannot craft every item that adults can, e.g. they cannot learn to make moonshine or alcohol. You will know if a child can be taught how to craft an item as the option to ‘LEARN’ will be visible on the bottom right of the menu. Pressing will teach this to the child. There are a few important aspects to understand when teaching children how to craft items. You need to make sure that the child’s mental state is not ‘Depressed’ or ‘Broken’. If they are either of these, then they will not be able to learn. To increase their mental state, they will need to talk to other members of the game. You will also need to make sure you have all the items required to craft the recipe you want to teach the child. Below is a complete list of what Workstations you will need to build, and what items you need to teach the child. You will know if you have taught the child that activity as the option to press will be grayed out. Once the child has been taught all the below listed activities in a single playthrough the trophy will unlock. Children cannot stand guard, go out on scavenging trips, or trade with Franko during the day. The only option they have at night time is to sleep. Resting will not help children recover from wounds or sickness. You will need to use Bandages to heal wounds and Meds to heal sickness. Furthermore, these must be administered by an adult. Children cannot build items outside of those they can be taught (refer to The school of life trophy). Once you reach the end of the game, which will be at the end of day 40 if using the custom game settings listed in the walkthrough. Further tips regarding reaching the end of the game without anyone dying can be found in my ‘Walkthrough and General Tips’ guide at the end of the guide. You will likely unlock this trophy early in the game. You will need to successfully repel an enemy attack/raid at night time. Raids are random events that occur once night time starts. The easiest way to unlock this trophy is to always have at least one person on guard duty at night and make sure they are armed with a weapon, e.g. a knife or a gun. Once night time finishes and the next day starts you will view the summary screen which will tell you what happened the night before. If you sent someone scavenging, it will list the items you collected. If you were raided it will tell you if you successfully repelled the attack or not. If you did repel the raid then the trophy will unlock. You will most certainly unlock this trophy when going for the We made a stand trophy. In order to unlock this trophy you need have your child reach a mental state of ‘Content’. This is the happiest state in which a character can reach and will likely come naturally early in the game. To do this you will need to make the child regularly play with toys. There will already be ones available to the child at the start of the game, such as hopscotch. However, it’s also worth building a swing, ball and toy box to give the child variety. Make sure you aren’t stealing from people or killing people whilst scavenging when going for this trophy as this will drastically reduce the child’s mental state. Children can also become depressed if other characters are upset, sick or have a bad wound, so make sure everyone is in overall good health. As such, it’s best to earn this trophy early in the game before it becomes difficult to manage all characters’ health, and before you start trying for other trophies which require reducing characters’ health. This trophy will not unlock straight after accepting a new member into your safehouse. You must interact with the new character with the child already in the house on a regular basis. Once the child deems the new member a friend the trophy will unlock. The time this takes is completely random; it may take only a few days or sometimes it may take over 10 days. Just be sure to always talk to the child on a daily basis, whenever the speech bubble icon is visible above the child’s head. In order to unlock this trophy you must start the game with less than four characters. This will enable you to allow a new character to join your safehouse. This is a random event that happens if you have three characters or less. Someone will knock at the door and ask if they can stay with you. Accept them inside and always have them interact with your child character. Once the child trusts the new character, the trophy will unlock. This trophy is somewhat linked to the School of life trophy. Where that trophy requires the child to learn each and every activity available to them, this trophy requires the child to regularly partake in these activities. For example, you can teach the child to cook food, create consumable and collect water from the Rain Catcher. Simply have the child do these tasks on regular occasions throughout the game and the trophy will unlock. There is no set number that is required, so once you teach the child different activities, have them repeat them on their own on multiple occasions. It’s worth noting that children are less efficient at crafting items. It takes them longer to create certain items then it does for adults, and the yield is often less, especially when it comes to food and water. Once the child has performed a number of tasks, the trophy will unlock. This trophy is similar to the Back from the brink trophy except instead of having an adult recover from a ‘Broken’ state, you need to recover a child. You will likely unlock this trophy in the same process. By killing people with an adult, this will not only affect the character doing the killing but also the characters back at the safehouse. Children are especially vulnerable and seem to reach a ‘Broken’ mental state quicker than adults. Once your child has reached a ‘Broken’ state you will need to recover them to a mental state of ‘Sad’ or better. To do this, simply talk to them everyday with all other characters. Talking is the only sure cure for mental health issues in the game. It is also important to keep the child ‘Well fed’ and when the option is available make them play with their toys as this will also lift their spirits. It will take between 2-4 days to recover the child. Once the child has recovered to a ‘Sad’ state the trophy will unlock.